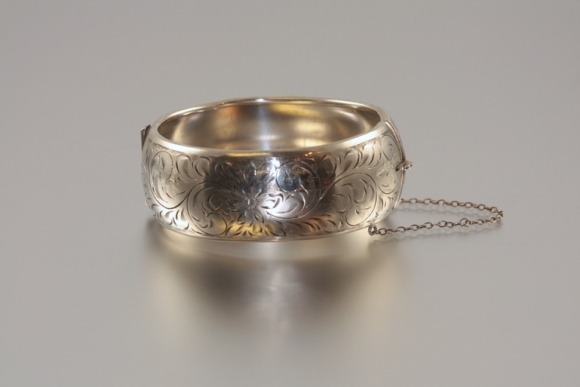 This hinged bangle is hand engraved across the top. 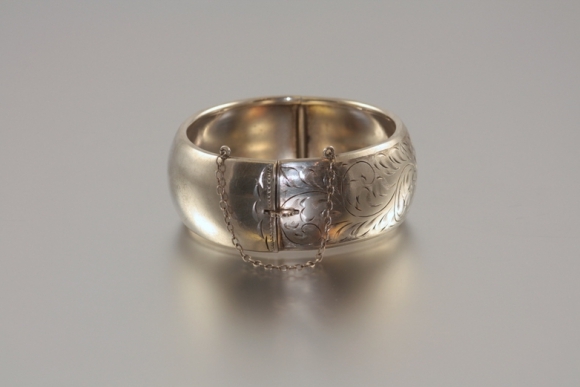 The bangle measures one inch in width with an inside diameter of 2 1/4" by 2 1/8". 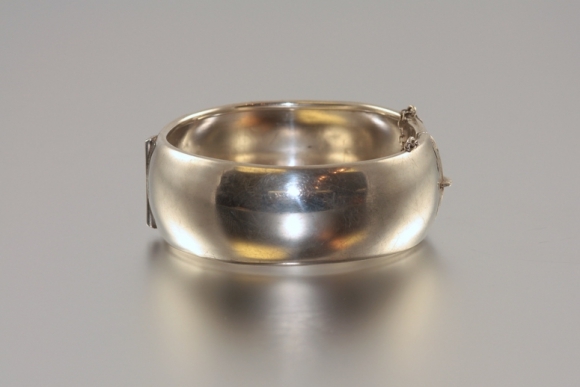 Additionally the bangle is secured by a safety chain. 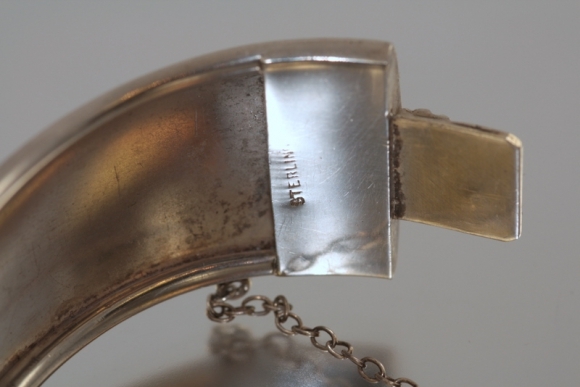 The bangle is marked Sterling.